Antonia Balek at the 2008 Paralympic Games in Beijing, China. Photo by Xinhua. Antonia Balek of Croatia won the Women's Javelin - F33/34/52/53 gold at the National Stadium, also known as the Bird's Nest, during the Beijing 2008 Paralympic Games in Beijing on September 13, 2008. She won another gold medal in women's Shot Put, also with the world record. Antonia survived a deep coma which lasted for 3 years. Before two car accidents she was very successfully competing in handball, karate, and taekwondo. She is living in Kaštel Sućurac, a lovely town on Croatian coast near the city of Split. 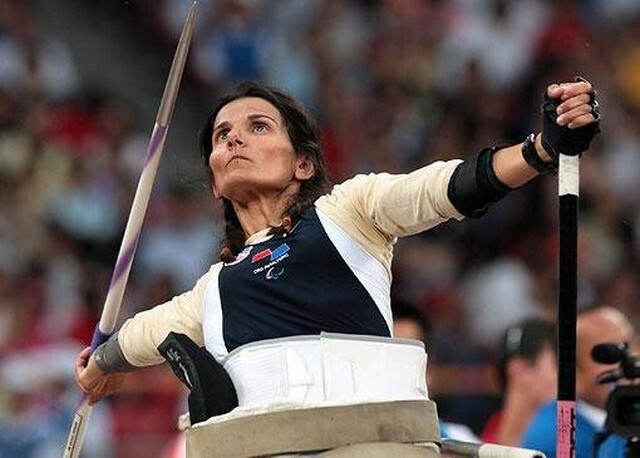 Croatian sportswoman Antonia Balek won her second gold medal at the Paraolympic Games in Beijing on September 15th, 2008, in women's Shot Put F52 with the result of 5.69 m. This was also her new world record. Congratulations and God Bless! I think you are a cousin of mine. I am related to Maria Balek. Whether or not we are cousin&#39;s, I still very proud of you and your hard work and determination. I am a physical education teacher in the United States. I did Track and Field in college. You have my respect and admiration.